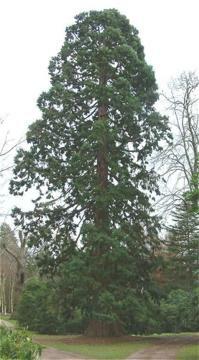 common name: Wellingtonia, Giant Redwood, Sierra Redwood. 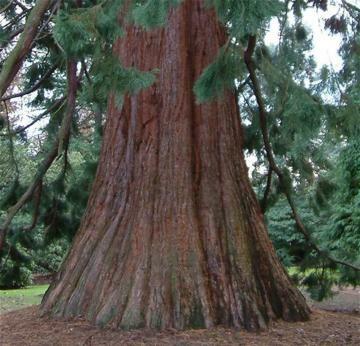 The famous Giant Redwood from the mountains of California. Large conical tree becoming more columnar as it get taller with down-curved branches. Thick, spongy reddish brown bark. 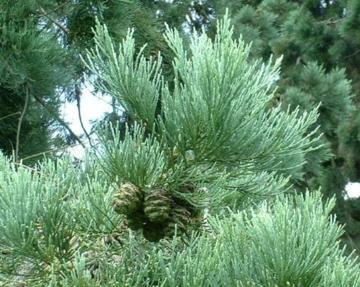 Small grey-green leaves arranged tightly around the stems. 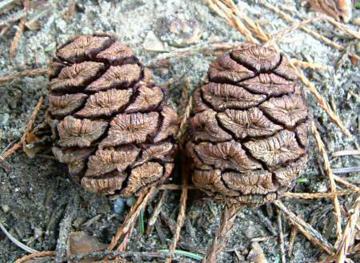 Rounded female cones, mid-green ageing to brown. Reasonably fertile, moist, well drained soil in sun or light dappled shade. Thrives very in the West of Britain, where the average growth is about 70cm per year. Extensively planted in British parklands. Very architectural large specimen tree. Occasionally used for avenues.